As a new season dawns, many baseball people wonder where the game evolves from here. It is not a question of if things will change, only when and how. Imagine teleporting into a baseball video game. That, John Mozeliak said, is how he felt watching college hitters on a recent visit to a Division I program. 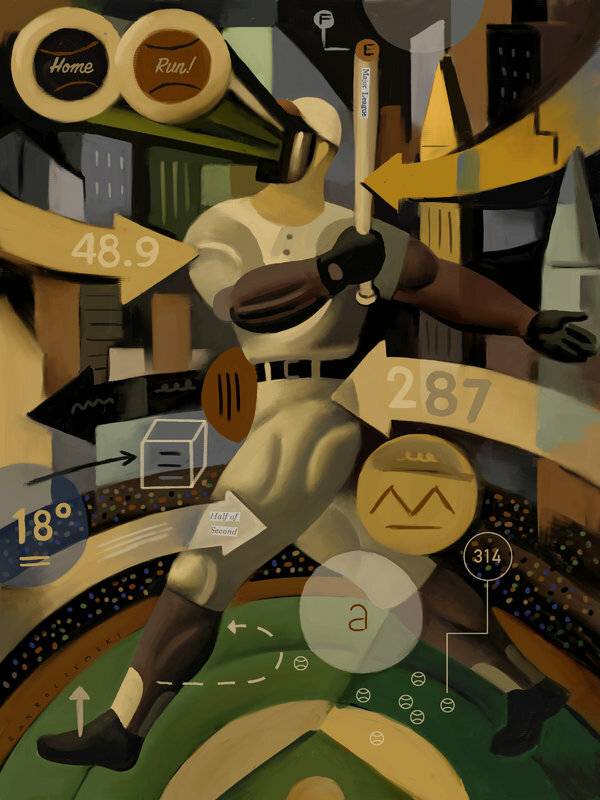 All the data that might appear on the screen of a virtual game was available, in real time, during batting practice. Give elite athletes an incentive to play a certain way — and the tools to show them how — and this is what you get: a convergence of talent and technology that has rapidly turned baseball into a test of power at the plate and on the mound. Hitters seek home runs and pitchers hunt strikeouts, and both statistics reached unprecedented levels last season: 6,105 homers and 40,104 strikeouts. But as a new season dawns, many baseball people wonder where the game evolves from here. It is not a question of if things will change, they say, only when and how. The Houston Astros won the title last season by mastering the modern game with a roster of contact-hitting sluggers who were instructed to swing only if they thought they could hit a home run. They pulled it off for a simple reason: talent. In the early 2000s, the low-budget A’s famously found cheap, underappreciated assets to complement a traditional core of talented, young starting pitchers. This was the story of “Moneyball,” of course, and soon the rest of the industry caught on, challenging conventional principles. This is why power hitters like George Springer and Mike Trout are batting first or second in the batting order, and why bunts and stolen bases have mostly fallen out of favor. It is why infielders often shift drastically from batter to batter, and sometimes from pitch to pitch. The Philadelphia Phillies’ new manager, Gabe Kapler, even plans to flip outfielders within games, based on where the ball is most likely to be hit. The uppercut swing — a callback to the wisdom of Ted Williams, whether young hitters know it or not — is the adjustment of the moment. With more and more grounders swallowed up by smartly positioned infielders, hitters decided to lift balls over their heads. Pitchers, conditioned to exploit a lower strike zone, largely fell into the trap. Differences in the ball itself have encouraged the hitters. Commissioner Rob Manfred has consistently stated that the balls fall within specifications, though the league is taking steps to standardize their storage. The Arizona Diamondbacks will store balls in a humidor this season, like the Colorado Rockies, in an effort to make the ball react normally in games played well above sea level. Better most likely means harder. Former players and longtime executives bemoan umpires’ habit of removing nearly every ball that touches the dirt around the plate. Pitchers can use a scratch to enhance movement, but even if they don’t, a well-worn ball tends to not fly as far as a smooth one. In any case, the essential calculus of baseball — a home run is worth four bases, a single just one — clearly motivates hitters to go deep. Pitchers have responded with more of a north/south strategy, with fastballs riding above the trendy swing path, and curveballs buckling below. No wonder, then, that strikeouts keep rising. The Astros’ Dallas Keuchel, who led the American League in innings pitched en route to winning a Cy Young Award in 2015, said teams should value pitchers like him who induce weak contact, run lower pitch counts and work deeper into games. It is a logical theory, but the vast inventory of hard-throwing amateurs — cultivated at velocity factories, raised to push the limits of the radar gun — will always captivate teams. Re: Baseball loves the long ball. But for how long? Forever - it's what makes fans and ballplayers (except for pitchers) feel good. As for tweaking the ball itself, the most significant change happened nearly a century ago when the new "live ball" made baseball a long ball game. The Wikipedia article claims the ball itself wasn't changed but after 1920 the game ball was replaced at the first sign of wear. Anyway, I don't see baseball returning to the dead ball era. Would anybody want that? Except for pitchers, of course.